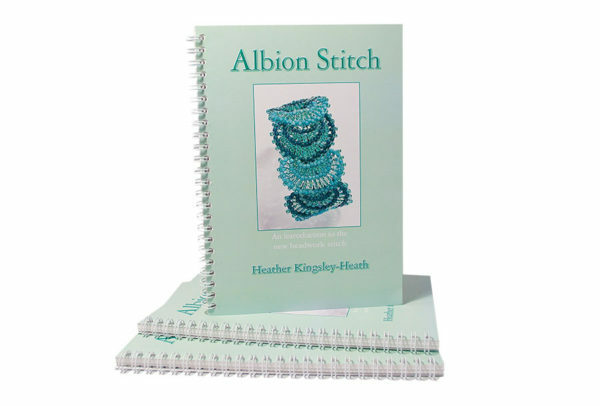 Albion Stitch Book 1 An introduction to the new beadwork stitch. 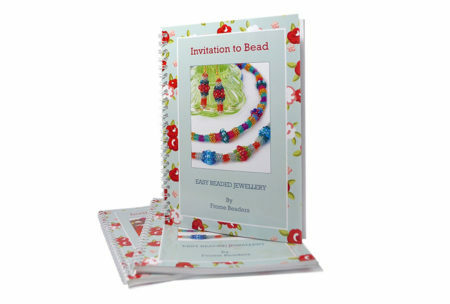 A fully illustrated A5 wire spiral bound book. Albion Stitch. Learn all about my stitch developments. 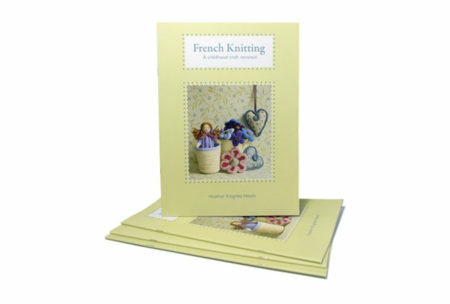 Ideal for beginners and more experienced beaders. 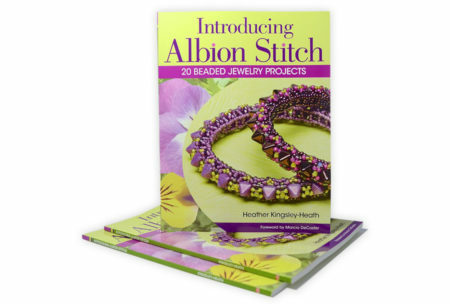 Albion Stitch is a beading stitch that is so easy to master, beginners will soon be able to create beautiful beadwork. It is also intriguingly complex, ideal for the more experienced beader in search of fresh ideas and new patterns to play with. Book has 20 step by step projects, plus many more variations and is a comprehensive introduction to these exciting new developments. Join in the fun as more and more bead enthusiasts discover just how creative they can get with this simple to learn stitch. 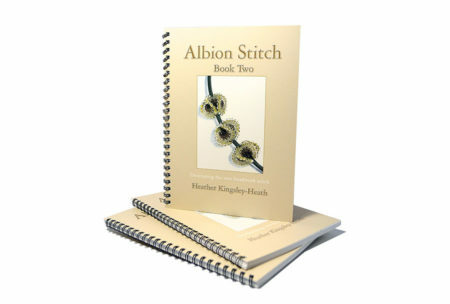 I’ve taught many Albion Stitch workshops here in the UK and the response has been brilliant. Students love how easy this stitch is to learn, and how quickly they can start exploring new shapes, designs and ideas. 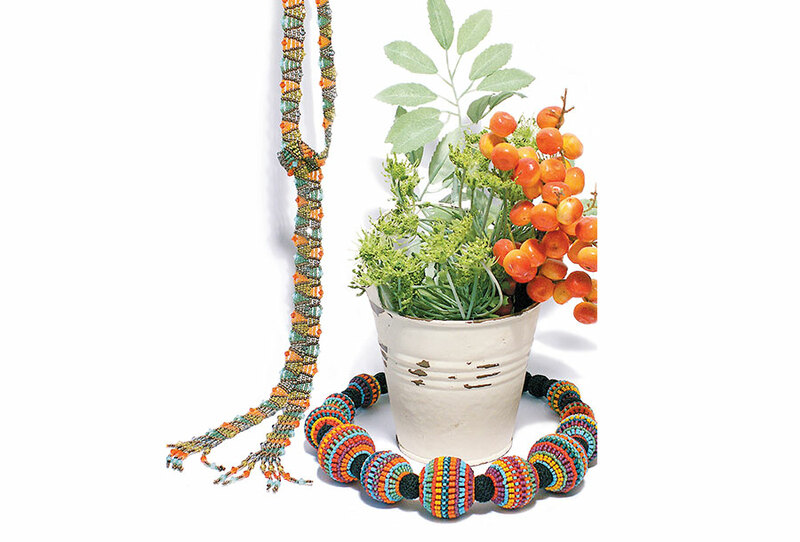 I also show you how colour combinations are easy to create with the right inspiration. 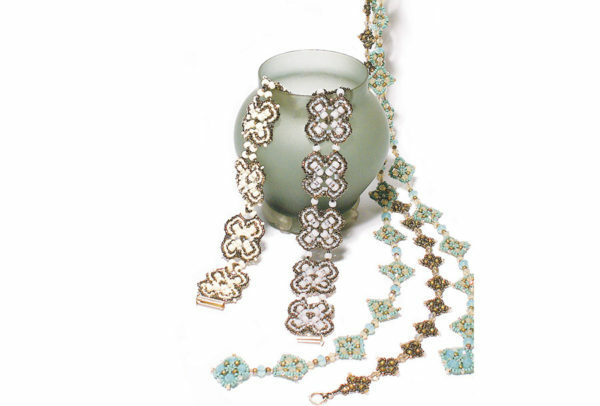 Learn the stitch in its flat, flat round, tubular and lace formations with projects for necklaces, bracelets and brooches.